The root system of a tomato plant tends to mirror the parts of the plant that are above ground. As the top of a tomato plant grows and branches exponentially, so too does its root system grow and expand below ground. Transplantation can affect this growth pattern somewhat, as can disease. The root system of a tomato plant is what draws nutrition from the soil up into the plant. Photosynthesis (creating energy from the light of the sun) channels energy down from the leaves of the tomato plant through the stem and enables the plant to process the nutrients drawn up through the roots. Tomato plants send down a single white taproot directly after germination. If left undisturbed, this taproot will continue to grow, as well as sending out several lateral roots. As long as it is given plenty of sunlight, water and fertilizer, it may grow as much as an inch a day during the first 20 days of growth. Over the next months, the taproot will continue to grow downward, reaching a depth of anywhere between 2 1/2 to 5 feet. Some of the lateral roots will grow as much as 3 feet horizontally before turning and growing downward. At this point, in their thickness, they may resemble the main taproot. Smaller lateral roots will grow off of all of these roots, in all directions. In healthy plants, the roots are white. Transplantation of tomato plants alters both their root systems and their levels of productivity. In climates with harsh winters, tomato plants are often started indoors during the last weeks of winter, then transplanted. In some cases, they are transplanted to larger pots before finally being planted in the garden outdoors for the rest of the growing season. Even a single instance of transplantation causes damage to the taproot, encouraging the roots to become a more disparate mass of smaller, more fragile, hairlike roots. A second transplantation furthers this effect, leading plants to not establish roots as deeply as they would otherwise. This can seriously undermine tomato plant health in the event of drought. 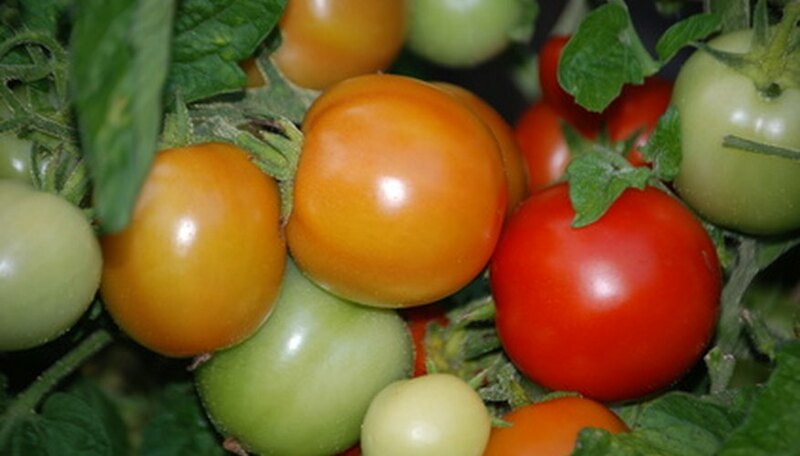 Corky root, southern bacterial wilt, fusarium crown rot, root knot, phytophthora root rot, and southern blight are all potential problems that tomato plant root systems may develop. With the exception of root knot, all of the above problems are fungal, and may be exacerbated by overly moist soil and insects. Crop rotation is essential when growing tomatoes from year to year. This helps to prevent the spread of fungal diseases. Care should be taken to rotate tomatoes with other plants that are not susceptible to similar diseases (not okra or cotton). Fungicides may be used if fungal infections are caught early, although plants still may not fully recover. Beneficial nematodes (microscopic insects) may be introduced to tomato plant root systems to help combat harmful insects. These can be purchased from reputable organic gardening specialists. Why Do Tomatoes Split When Growing? What Are the Causes of Spindly Tomato Plants?